الموضوع في 'قسم البرامج وقواعد البيانات والفيديوهات الهندسية' بواسطة RANY_LOVE10, بتاريخ ‏مارس 27, 2011. Autodesk®AutoCAD®2016 software connects your design workflow like never before.New design feed social collaboration tools drive project stakeholder involvement.Dozens of time-saving enhancements speed your everyday workflow.Andwith live maps and powerful new reality-capture capabilities,AutoCAD connects your design ideas to the world around you. AutoCAD? Mechanical design and drafting software is AutoCAD? software for manufacturing. Part of the Autodesk? solution for Digital Prototyping, it includes all the functionality of AutoCAD, one of the world's leading 2D CAD design software applications, plus comprehensive libraries of standards-based parts and tools for automating common mechanical CAD tasks and accelerating the mechanical design process. AutoCAD Mechanical design software helps save hours of design time, so you can spend time innovating rather than drafting. The powerful features in AutoCAD? Mechanical design and drafting software help to automate common design tasks, facilitate increased drafting productivity, and offer mechanical engineers a competitive edge. AutoCAD Mechanical includes all the functionality of AutoCAD? 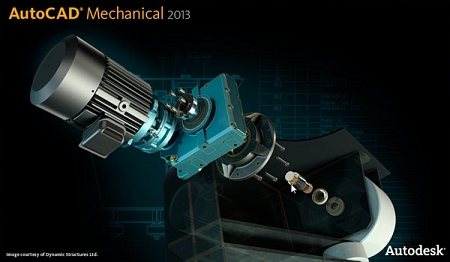 software, plus comprehensive libraries of standards-based parts and tools for automating common mechanical CAD tasks. You can apply this update to AutoCAD Mechanical 2013 running on all supported operating systems and languages. Consult the readme file for installation instructions and more details on the primary issues resolved by this update. Be sure to install the correct update (32-bit or 64-bit) for your software and operating system. This Service Pack can be applied to AutoCAD Mechanical 2013 installed as a standalone application as well as AutoCAD Mechanical 2013 installed from the following Autodesk Design Suites. NOTE: You can also use Autodesk Exchange to install the Live Update Maintenance Patches, which will automatically show the correct Service Pack for your product. Autodesk AutoCAD Mechanical design and drafting software is AutoCAD software for manufacturing. It includes all the functionality of AutoCAD, one of the world?€™s leading 2D CAD mechanical design software applications, plus libraries of standards-based parts and tools for automating common mechanical CAD tasks and accelerating the mechanical design process. mann1 و Eabbas معجبون بهذا.